Sexual violence should be treated as a medical emergency. If we want the survivors to receive the comprehensive medical attention they need, guaranteeing that this is available and accessible should be a priority for the Colombian government, says Médecins Sans Frontières/Doctors without Borders (MSF) on the International Day for the Elimination of Violence against Women. “Sexual violence against any person is totally unacceptable. 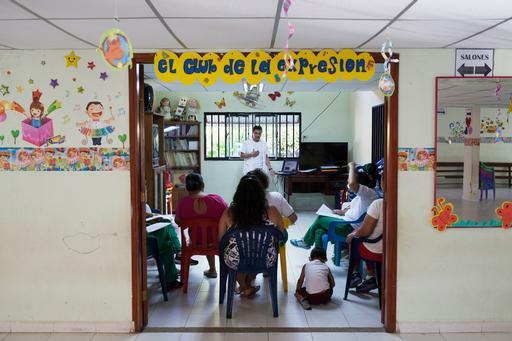 To survive, it is essential to look for medical and psychological attention as soon as possible,” explains Pierre Garrigou, head of mission for MSF in Colombia. “The health institutions have to ensure that the response to the sexual violence survivors is comprehensive and adequate. Today, the institutional response is not sufficient and comes late,” he adds. Eighty percent of the survivors of sexual violence attended by MSF between June 2012 and August 2013 hadn´t looked for help in the local health structures. The obstacles to their seeking health and psychological help were: the lack of awareness that it requires a visit to the hospital (61 percent); not considering they had suffered sexual violence; threats by the perpetrator, and shyness, among others. “The health staff has to be trained to actively find cases so that the response is adequate and the mental health service has to be available in the health structures at the first level of attention,” says Garrigou. “But is doesn´t have to be limited to the health sector, the emergency focus has to be across all institutions involved in the response to sexual violence,” he concludes. MSF Psychologist Wiliam Maruri talks to nursery teachers about looking for signs of sexual violence amongst children. If the survivor goes to the doctor in the first 72 hours, it is possible to give prophylaxis for HIV/AIDS and antibiotics that will help prevent some infections such as chlamydia, gonorrhea or syphilis, besides emergency contraceptives to avoid an unwanted pregnancy. Apart from the physical consequences, sexual violence has a devastating psychological impact for its victims. Almost all the survivors show symptoms as a result of the aggression, such as aggression, sadness, excessive fear, irritability or anger, and anxiety or stress. However, less than one in every three women that attended an MSF consultation received psychological support after the violent event. Podcast: "Good luck, my sister"
Search and rescue: "Good luck, my sister"